Who doesn't love trampolines? Alas, not everyone has a backyard (or budget) big enough to accommodate one. 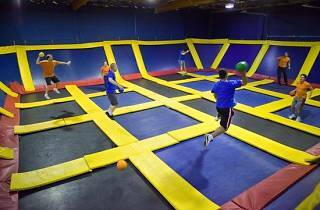 To keep the kids from taking all that energy out on your furniture, check out Sky High Sports—an enormous warehouse where children of all ages (and children at heart) can literally bounce off the walls while high-energy pop music pipes through the sound system. Because the trampolines stretch from one wall to another (and even up them), there’s absolutely no way to fall off—and there are thick pads and court supervisors on duty to help ensure maximum safety. 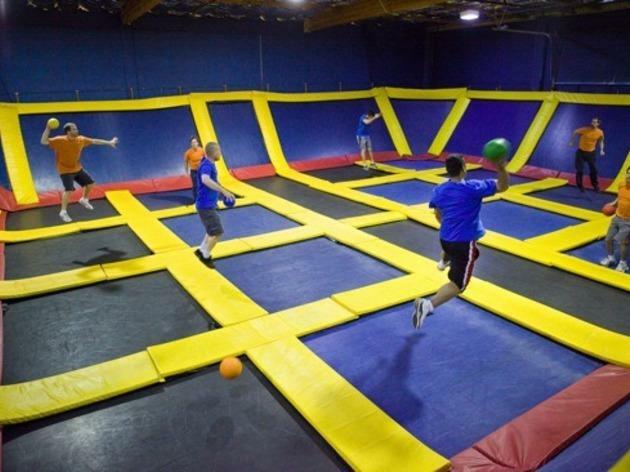 In addition to an area for jumpers under 52 inches tall and one for bigger bouncers, there’s another where kids can launch into a foam pit, as well as a dodge ball trampoline court. When it’s time to take a break, there’s a nice selection of video games and a small snack bar. Peace-seeking parents can also hang out in the adult lounge, complete with free WiFi, plasma TVs and an electric massage chair, and still keep an eye on their bouncing brood thanks to the surveillance cameras. Birthday parties are always a hit here, as well.